A sponsored walk took place in the school grounds at Dalriada School on Wednesday 18th June, to raise money to purchase new ICT equipment for the English Department. All pupils in Years 8, 9 and 10 participated in the walk and enjoyed a free bottle of water and a piece of fruit, which were very generously provided by Mr Glen Biesty of Biesty’s CENTRA Supermarket, Portrush Rd, Ballymoney. The school would like to thank Mr Biesty for his generous sponsorship of the event which was thoroughly enjoyed by all the participants. Year 11 pupils remained in classes during that afternoon, however, they too contributed to the English Department’s fund-raising efforts by a little home-baking and business skill! Each form class was allocated a day on which to host a Bun Sale during break and lunch time and the result was not only delicious but also very rewarding financially! The total Bun Sale amount so far is over £1000, with another class still to take to the corridors. The English teachers – Mrs Hadden, Mrs Millican, Mrs Kane, Mrs Doherty, Ms Timmins, Dr Hunter and Miss Brown – want to thank the Year 11 pupils for all their gorgeous buns, chocolate fountains and sugary delights, but also the entire Junior School for their sponsor-gathering efforts and the big, long, beautifully sunny walk we shared to walk off all that Year 11 sugar: a perfect balance of pleasures. 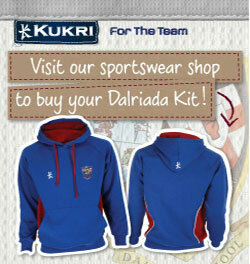 And finally, the Dander Bank is still open if any Old Dalriads want to contribute to their favourite department! Just contact the school office.